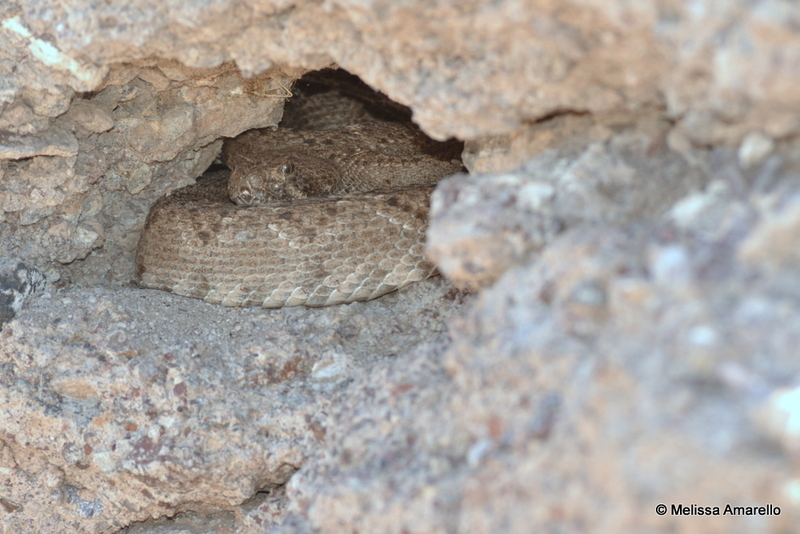 Last month we told you about the western diamond-backed rattlesnake den we recently ‘discovered’ at preserve headquarters. 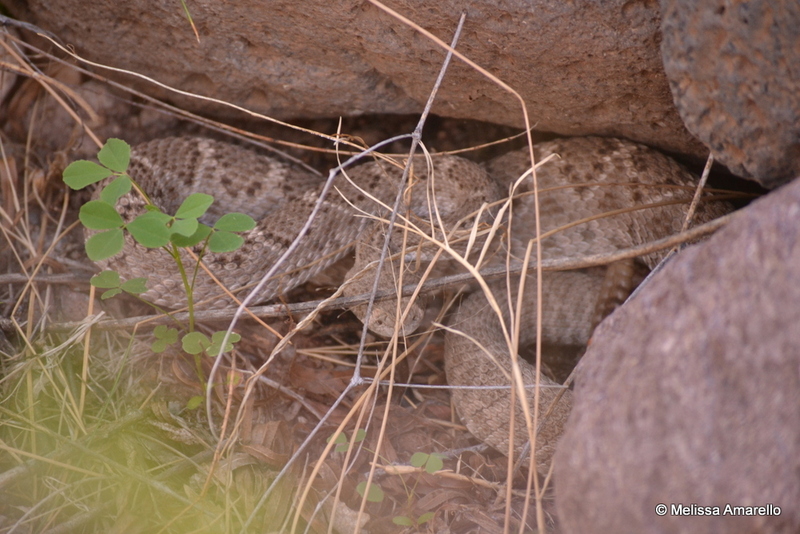 Well, this past week has been a busy one for our rattlesnake neighbors. 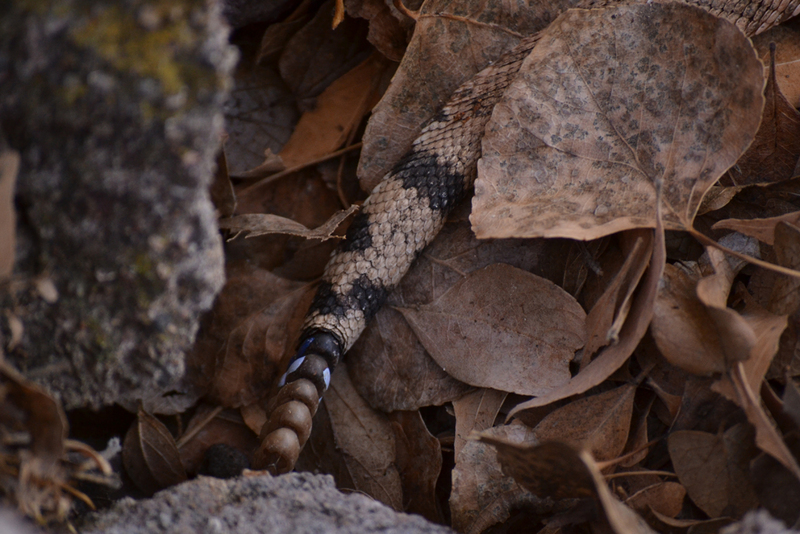 We have seen about a half dozen adult males and females hanging out and/or dispersing from their den. An adult male briefly chin-rubs female #22 as he emerges from the den. Female #22 dispersing from the den. In the following video another female emerges from the den and shortly thereafter disperses. It almost seemed like this guy was showing off for our guests! 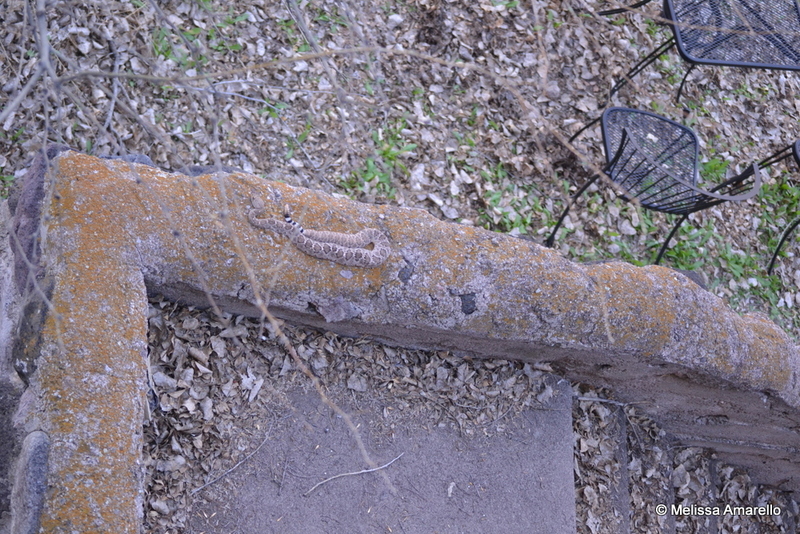 While he rested here, everyone got a great view of him from above and below at the visitor center. 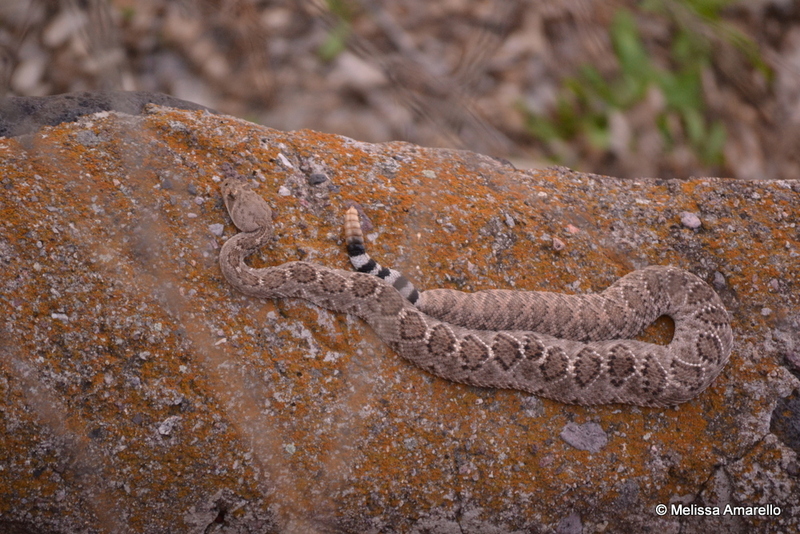 A closer view of the above rattlesnake resting outside the visitor center. 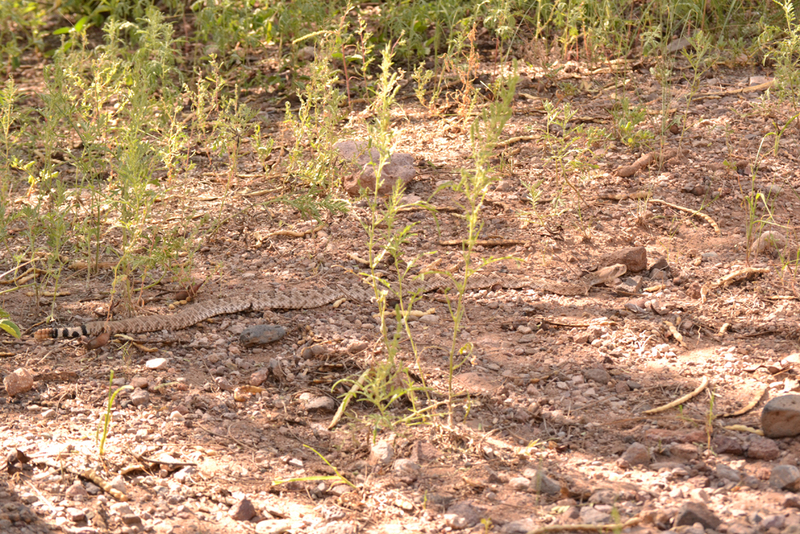 Our first snake sighting of 2012, was nature’s rodent control, Allison. Because she showed up at headquarters so early in the year, we thought she probably denned nearby. Turns out her den is very close indeed! 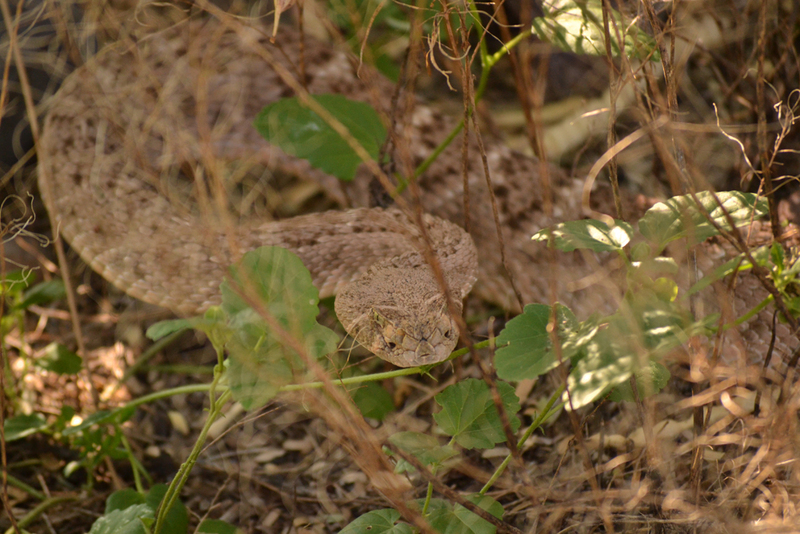 In other news, Persephone (female black-tailed rattlesnake) was seen basking near her den, so she may be on the move soon too. Stay tuned for more! ANNOUNCEMENT: Join us at the Muleshoe Preserve for Save the Frogs Day on Saturday 27 April 2013. Details on this event can be found here.